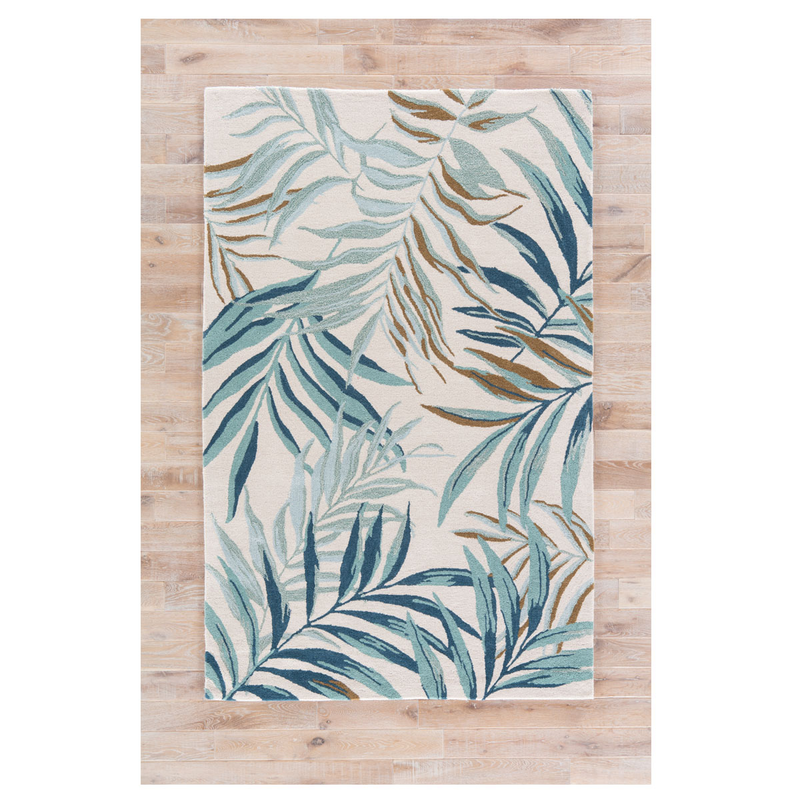 Give your bedroom a tropical update with the Boardwalk Garden White Rug - 10 x 14. Crafted with a cool-toned palm pattern on a white ground. This nautical area rug makes a beautiful accent.